DAVID LANGEVIN, BFA, M.ED., SFCA, perfected his painting skills as he studied at the Montreal Museum of Fine Arts, the Canadian Conservation Institute and McGill University. 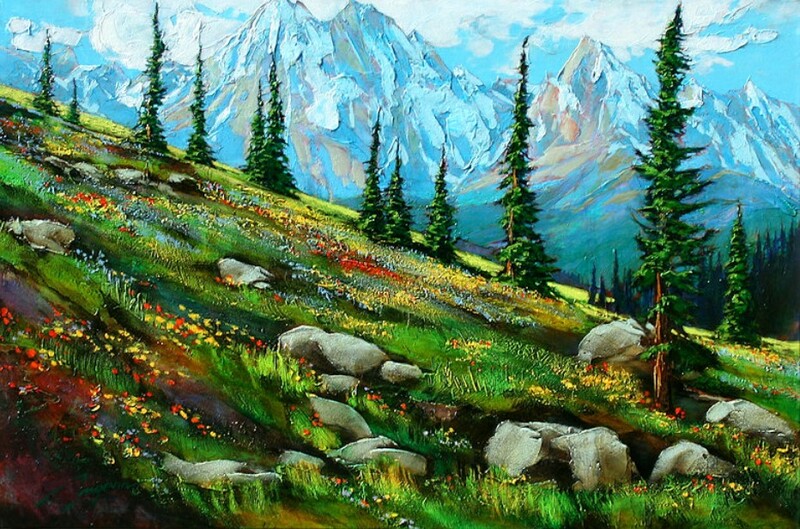 He is a senior signature member of the Federation of Canadian Artists, and writes a regular Q&A column on acrylics and oils in the FCA Magazine. 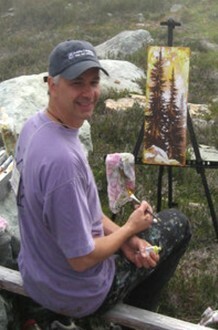 After several years of teaching art, David became a full-time painter in 1994 and he lectures and teaches workshops as well. He has gained recognition for his dynamic and original landscapes and “treescapes”. He has a profound knowledge of materials and techniques combined with a brilliant sense of design and drama. Website www.davidlangevin.com. THE ART OF BUSINESS: Financial Success for the Artist is for all artists who wish to learn how to increase their financial success. Friends and family members are also welcome. The most elusive skill set for the modern generation of artists has nothing to do with creativity or painting techniques. It is more often related to business and marketing. Strategies for achieving financial success for artists are rarely taught, written or spoken about in artistic circles. Moreover, most of the ideas and schemes artists employ are ineffective. This is clearly evident by the results—artists are amongst the lowest income earners of all professions. Strategies for achieving financial success in the art market are actually much simpler and easier to implement than we have been led to believe. We just need to clear up a few myths and misconceptions, which David Langevin will do in this presentation, talk and discussion, drawing from his experience of over 25 years as a professional artist. PayPal is very safe and secure and you do not need to have a PayPal account yourself to access this feature. You can use any major credit card for this option. Click on the "down arrow" in the box below to choose your payment amount and you will be directed to a page where you can submit your payment. If you do not have a PayPal account simply click on the link that says "Continue without a PayPal account". If you have a PayPal account just log in and make your payment. Please phone Louise at the office at (403) 233-7389 to use this option.